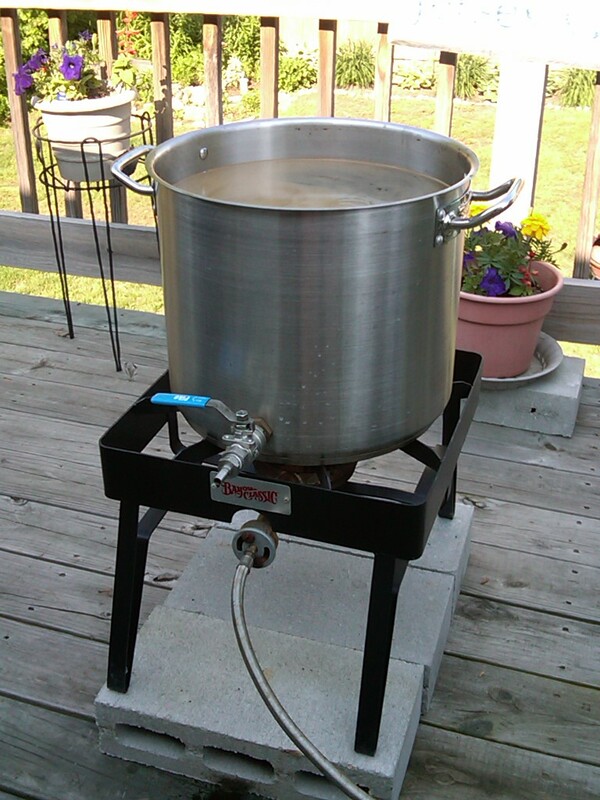 When I converted over to all-grain brewing about a year and a half ago, I was generously given a collection of second hand equipment by both my brother and members of my local homebrew club (RIFT). Several of these pieces have been upgraded and retired, but a few are still part of my brewing process. One of these in particular was my turkey fryer-esque propane burner. Up until a few days ago, that piece of equipment was looking like it was quickly being destined for the obsolete list. I should point out that the house we live in does not have a garage, or for that matter, much outdoor storage. As such, the propane burner tended to remain out in the elements where corrosion was able to tighten its grip. While the aesthetics of some rust was a non-issue to me, the corrosion of the burner head was becoming a problem. Instead of the efficient (and clean) blue flames, the burner had degraded into the inefficient, oxygen-starved orange flame. It not only burns excess propane, but it also kicks out a boat-load of soot and grime that coats the underside of all the kettles. Not ideal. Of course all the corrosion meant removing the old burner head was a challenge as the fixation bolt holding the burner to the frame was severely rusted over. In the end, a good pair of vise grips and some banging with a hammer allowed me to torque off the bold head, releasing the corroded part. With the new part installed, the problem was all fixed – no more orange fire and kettles covered with soot.